Fact: the Kardashian and Jenner families take children’s birthday parties very seriously. Sometimes, even bigger than their own days! Case in point: the celebration for Blac Chyna and Tyga’s son King Cairo. Well, two celebrations, as both parents had fun-filled bashes for his fourth birthday. Blac Chyna’s Ferrari-themed fête was brimming with Legos, a huge inflatable car slide, a yummy Dip’d N Drip’d candy station, and Fall-perfect pumpkin carving stations. Blac Chyna revealed the news of what was to come on Snapchat, as reported by E! Online. "He's turning four tomorrow so you know I had to do it big. That's right." It was a star-studded bash with Kourtney Kardashian, Kris Jenner, Laura Govan, Scott Disick, and more in attendance. The cutie received gifts from Louis Vuitton, Gucci, and more: a pretty amazing occasion if we do say so ourselves. And Rob Kardashian shared a heartfelt message to the birthday boy on Instagram with the caption, “HAPPY BIRTHDAY KING! THANK YOU for letting me see what a great Mama you got!” Could it get any sweeter? But that wasn’t all that was in store for King. 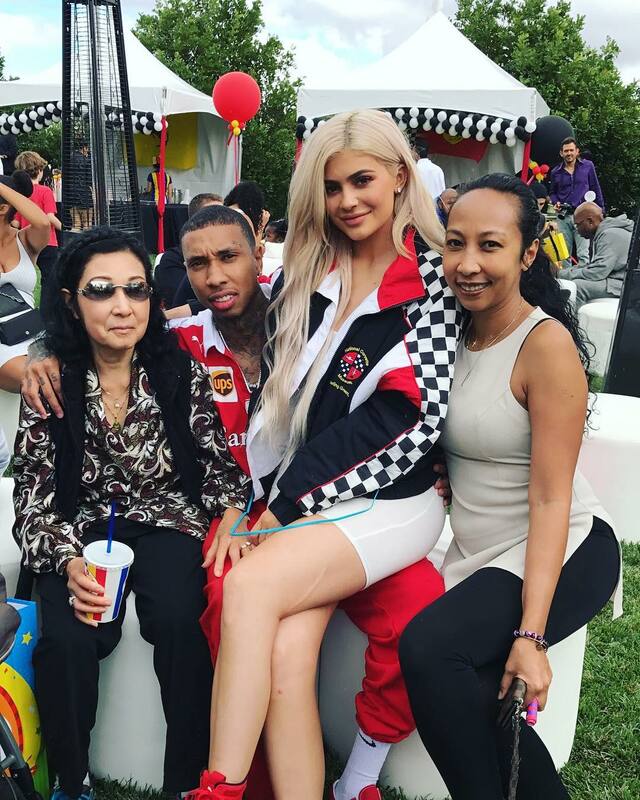 Tyga loves flashy cars, thus it was only right that he throw his son another Ferrari-themed extravaganza of his own. As you might have guessed, Snapchat queen Kylie Jenner documented the festivities for the social medium. It was a total family affair, with big sister Kendall Jenner celebrating and even playing around on a trampoline. Also on the menu were a ferris wheel, floatable Ferrari balloons in the pool and mini car-shaped centerpieces. Jenner, Tyga, and King took a darling photo in their matching black, red, and white gear. Earlier in the week, Jenner shared her first photo with King on Snapchat—a major moment as she hasn’t posted one since she started dating Tyga back in 2014. It looks like all of the bad blood that existed between her and Blac Chyna is completely in the past. No better reason to completely move forward than for King’s birthday and with Chyna and Rob Kardashian’s daughter on the way.